Our kindergartners are finishing up their senses activities. 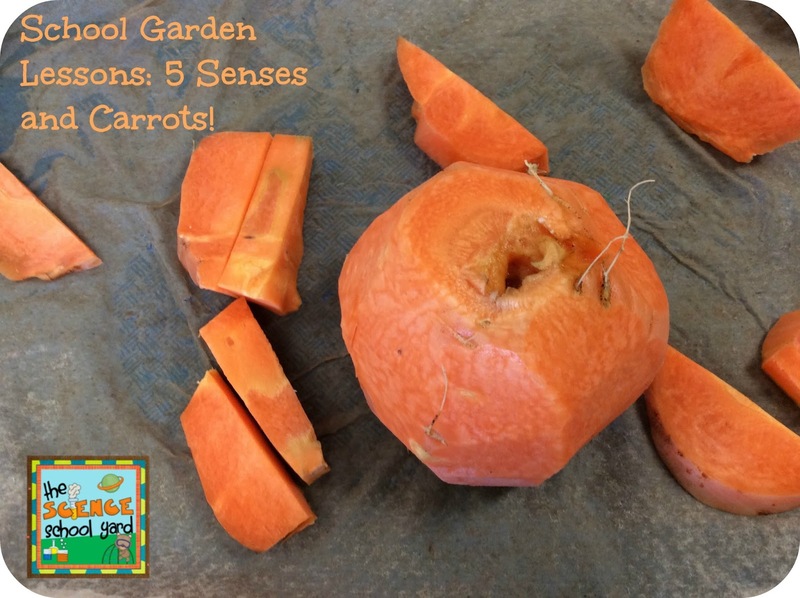 Why not use our school garden to teach all five senses! 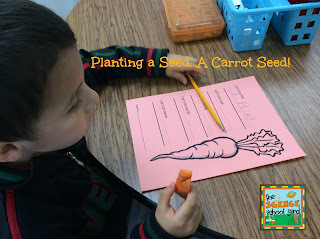 We used our five senses by picking carrots! We looked at the tops...then the bottoms! We felt them before and after we pulled them out of the ground. 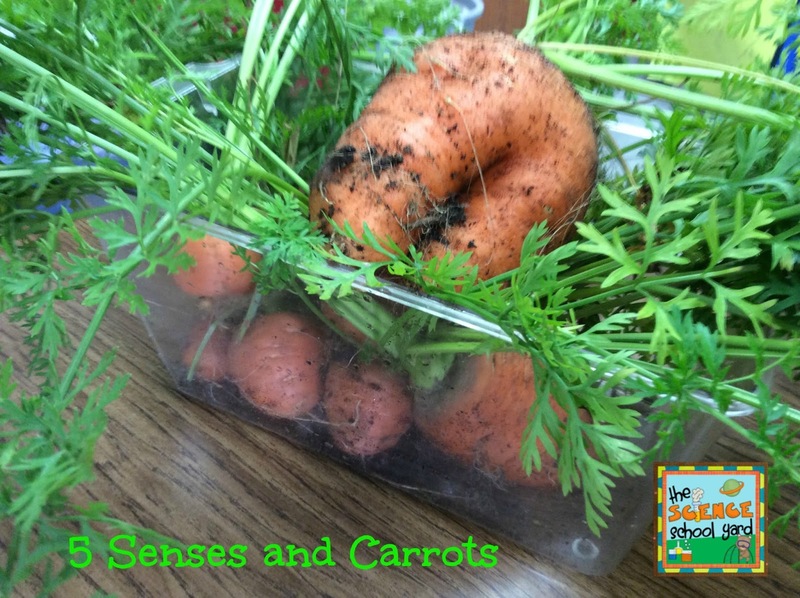 We smelled the fresh carrots and tried to describe the smell carrots have. 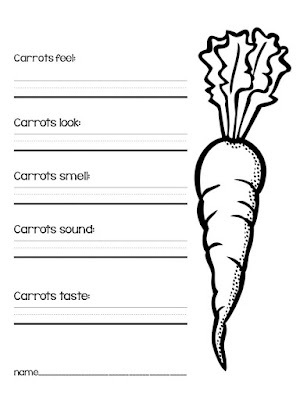 They smell "carroty". We crunched them and they tasted sweet and yummy! I love the discoveries that were made! 1. Plant's leaves help us figure out what each plant is! 2. Even when the leaves are the same size, the carrots can be very different sizes. 3. Carrots are a root. 4. We eat the orange part and it grew under the ground. 5. 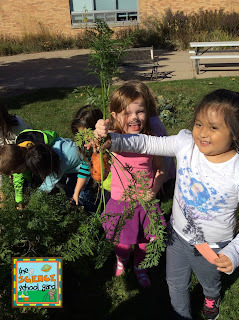 We love pulling carrots out of the ground...it makes us laugh...smile...and squeal! 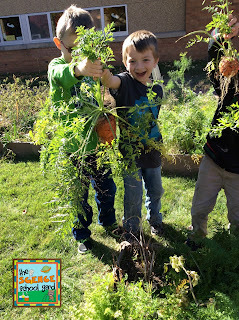 I love the smiles on their faces when they pull the carrots out of the ground! It's a big one! And the winner of the biggest carrot of the day goes to these two gardeners! 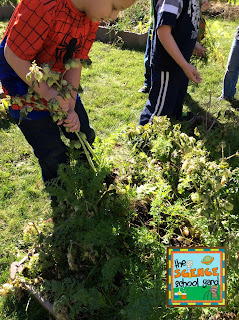 We taught leaf structure...take a look at those leaves...it is a ground cherry plant. He pulled it out and looked for orange by the roots...weren't there. What a great teachable moment! We went inside to write down our five senses reflections. 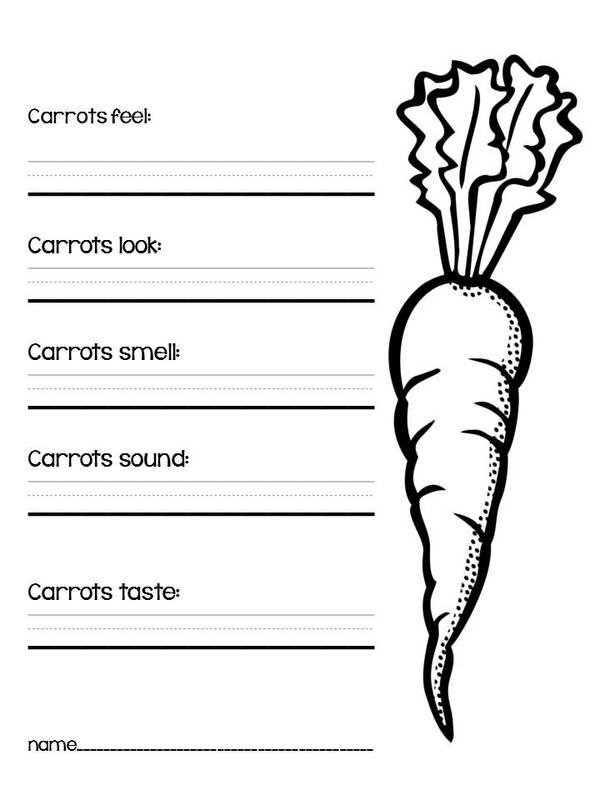 How do carrots feel...smell...look...sound...taste? Here are the carrots that they picked. After each kindergarten class is done...they will be shared in our lunchroom! 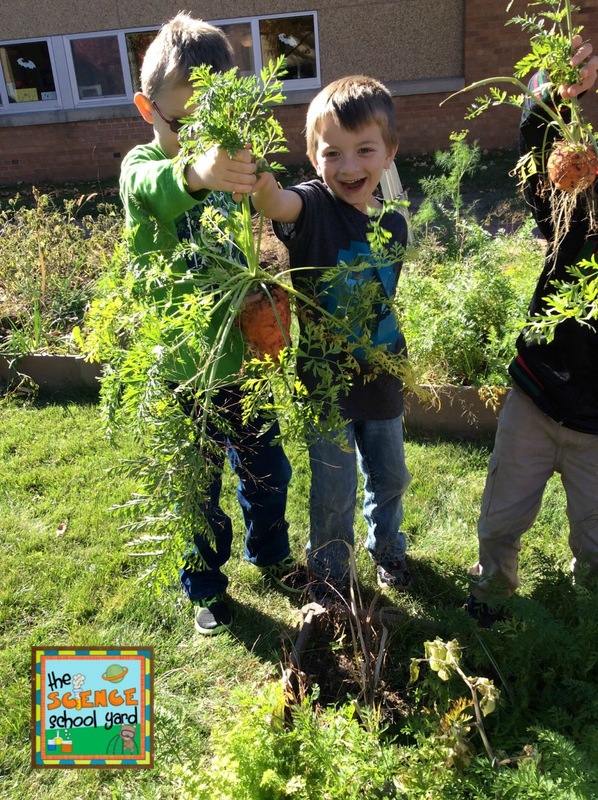 Our school garden helps each and every student grow! Here is the sheet we used to reflect on our activity! I thought I would help you plant a seed!